This is the last entry in the dental crown series. It’s a brief explanation as to how and why we ‘prepare’ a tooth in order to place a crown on it. Many people think we shave a tooth down to a little peg in order to place a crown on it…not true. We take the existing tooth and make a ‘crown preparation’, better known as crown prep. Yes, we do drill the tooth, but not to a little peg. When we prepare the tooth, we have to make sure that we don’t remove too much tooth structure…we try to be conservative. The shape of the tooth that we create after preparing it is important as well. After all, it has to be able to hold on to the crown. In most cases, a dental crown is cemented on to the finished tooth prep with a resin type of cement. But we don’t rely solely on the cement to hold on to the crown. We need to make sure that the walls or ‘sides’ of the tooth prep are angulated properly to hold on to the crown as if there were no cement present. It’s the final shape of the tooth that we are left with that is important. This is especially true on the upper arch where gravity plays a part. The shape of the tooth after reduction is such that we want it to have a taper of between 3-5 degrees from the top to the bottom. If, for instance, the taper is more than 20 degrees (picture a teepee tent), then the crown won’t be able to grip the tooth strongly enough to hold on to it: remember, we don’t rely just on cement to hold on to the crown. 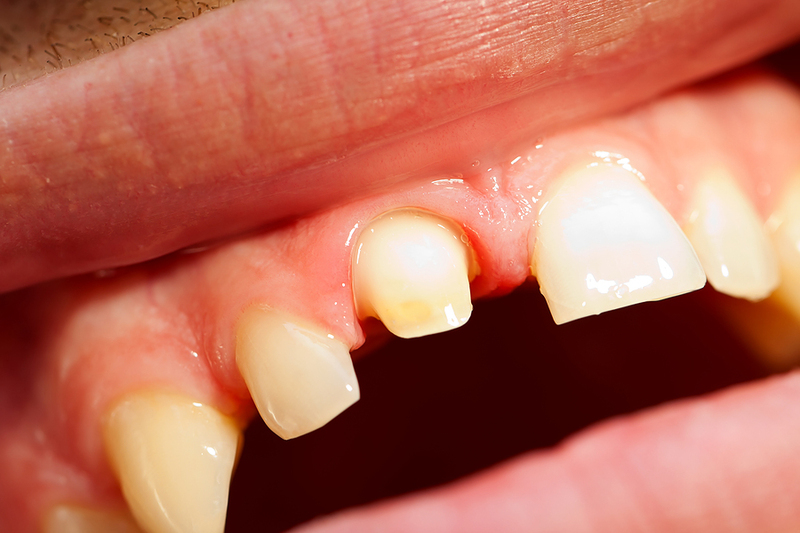 Depending on the type of crown, different amounts of tooth reduction are required. A full gold crown requires about .5mm, whereas porcelain over gold crown would need approximately 1.5 mm. The difference of 1 mm is because we need to account for the thickness of the porcelain; after all, it’s not just gold…there are two materials now. Remember, we are using porcelain to get the desired esthetics and gold underneath the porcelain for strength. I felt that it was important to get a Little Technical at the end of the series, because it gives you a better understanding and appreciation of the entire process that goes into the fabrication of a dental crown! I hope that you’ve enjoyed the series on crowns. Are dental crowns right for you? What do dental crowns and caps cost? Are dental crowns and caps covered by my insurance plan? Find the answers by calling us today at (905) 791 3867 or visit our office. We’re located in the heart of Brampton at 40 Finchgate Boulevard, Suite121 Brampton, Ontario.